> Bulgarian and Eastern European Tarot.>Rider Waite Tarot - Bulgarian edition. 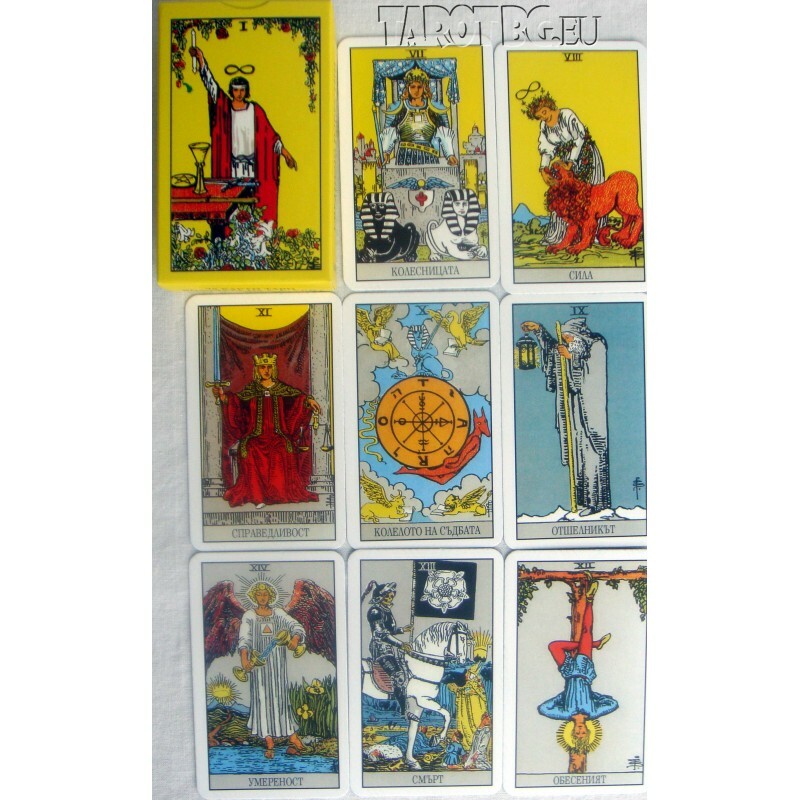 Rider Waite Tarot - Bulgarian edition. Raider Waite Tarot - Bulgarian edition. 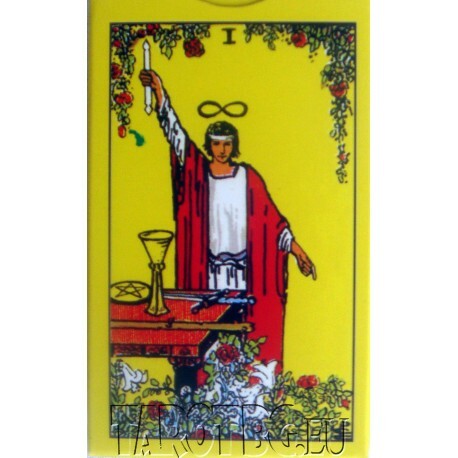 detailed pictures on the minor arcana cards. Published by Aratron in Bulgaria. Titles on cards are on Bulgarian.